The Partido Republicano Social Cristiano (PRSC) – Republican Social Christian Party – used photoshopped images to charge the Tribunal Supremo de Elecciones (TSE) – elections tribunal – with at least two false billboards that were never placed during the last presidential election campaign. 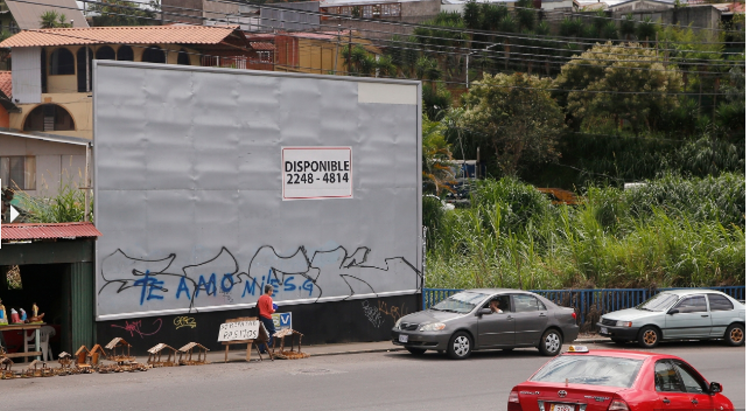 The images of then-presidential candidate Rodolfo Hernández were placed digitally on two real “publitapias” billboards which in reality were empty. 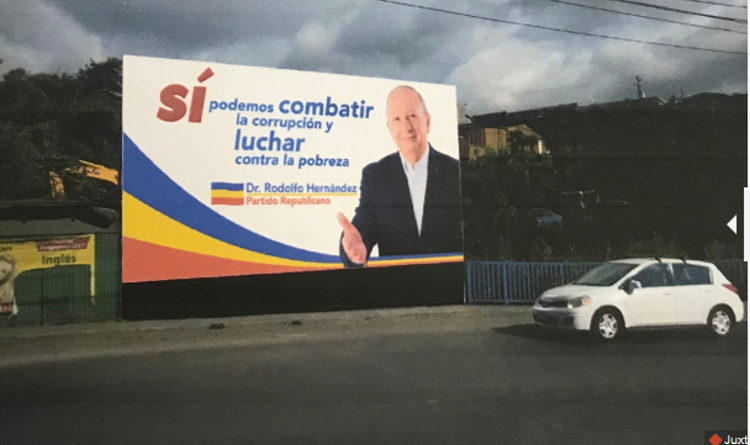 “Yes we can fight corruption and fight against poverty,” reads the alleged billboards, where Hernandez appears with the thumb of his right hand raised in approval. 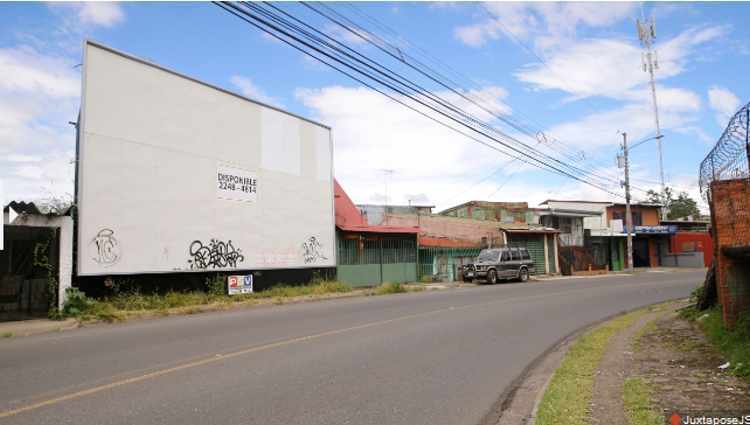 An investigative team from La Nacion was able to verify, through interviews with residents and one of the owners of the land where the billboard stands, that such publicity was never seen. The witnesses told the investigative reports that in fact on the billboard they have never any type of advertising ever. 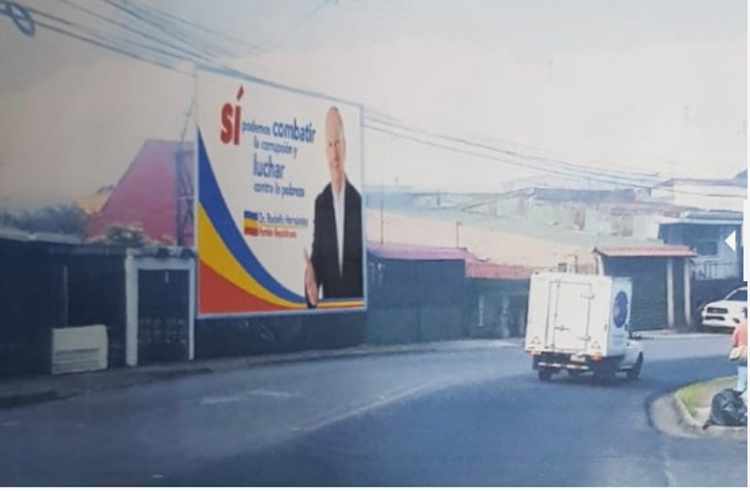 The altered photos are part of the settlement of expenses that the political party gave to the TSE with the objective that the money paid, ¢9 million colones, for the advertising be reimbursed with public funds. The detailed cost submission to the TSE says the ads were for a period of 4 months, from October 2017 to January 2018. However, the owner of “publitapias”, Wilberth Fuentes Núñez, confirmed, swearing on his dead mother, that the billboards were in fact rented to an American for three and a half years and during all that time there has been no type of ad. Read the original report (in Spanish) from La Nacion.